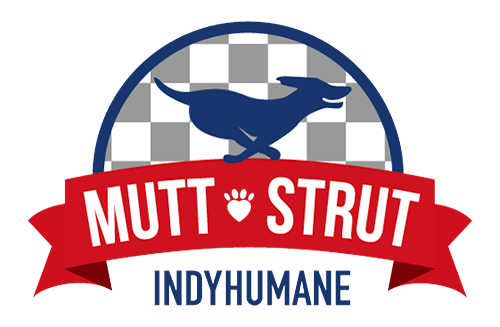 On April 27th, Bruno and I will be participating in the annual Mutt Strut, the largest fundraiser for the Humane Society of Indianapolis. You can join me on the day by donating on my behalf or registering to walk with me. Bruno would love to see all his doggie friends come out to support IndyHumane! Every dollar helps IndyHumane find homes for thousands of homeless animals each year. I adopted Bruno in September 2013 as a puppy, his little white chest stripe reminded me of one of my childhood labs that passed away while I was in college and I just knew it was meant to be. Founded in 1905, the Humane Society of Indianapolis cares for dogs and cats on the path to finding a loving, lifetime home. All animals are spayed/neutered and microchipped before being placed on the adoption floor. Visit www.indyhumane.org for more information. IndyHumane invests around $800 into each animal that comes into the shelter which means IndyHumane depends on donors like you! Many people don't realize that IndyHumane is a private, nonprofit organization that receives no public or private government funding. The Humane Society of Indianapolis is supported solely by contributions, grants, bequests, investments, adoption fees and other fees for service. They receive no tax money, United Way funds, or regular contributions from other animal-welfare organizations such as the ASPCA, Humane Society of the United States, or Peta.